"The opening 20 minutes of their opening day 2-1 win over Leicester has been the best they have played this term, yet the team itself is playing with the same beleaguered swagger of their manager"
If recent history has taught us anything, it's that the third season in Jose Mourinho's tenure is always the one where both parties break off the relationship. At Real Madrid, Mourinho left at the end of his third season at the Bernabeu, a campaign he deemed: "the worst of my career". His return to Chelsea saw he and the Blues part ways in December 2015, four months after penning a new deal, midway through his third season back at the Stamford Bridge helm. Is history repeating itself for Mourinho? And it looks as though history is repeating on us at Manchester United. Reports on Friday night suggest that, regardless of United's result against Newcastle today, Mourinho will be relieved of his duties. Indeed, the Portuguese boss is the [1.57] favourite to be the next manager to leave his post. United have acted quickly to dismiss the rumours, but there is a similar pattern emerging once more. Mourinho penned a new deal at Old Trafford back in January, so the club evidently has faith in the 55-year-old, yet United look as stagnant as ever. The opening 20 minutes of their opening day 2-1 win over Leicester remains the best they have played this term, yet the team's play is a reflection of their manager's beleaguered manner. A 3-1 loss at West Ham was followed up by a dull 0-0 draw with Valencia, with Eric Bailly's hopeful long-range punt from 40 yards drifting aimlessly wide summing up their performance in a microcosm. However, the loss at West Ham, a pitiful display by United one must add, means they have equalled their lowest ever points total after seven Premier League matches, picking up just 10 points of a possible 21. United may be the overwhelming favourites at [1.43] to beat Newcastle today, but even so if they do overcome the Magpies; 13 points after eight matches is still an unsatisfactory return for a club of United's stature. They're already nine points behind title favourites and rivals Manchester City and Liverpool and given the sheer scale of investment since Mourinho took charge, the gap should not be so big at this stage. What's more, such a disappointing start has seen United fall out to sixth favourites at [3.8] to secure a top four finish on the Exchange. They're closest to north London pair and top-four rivals Arsenal and Tottenham in the league, languishing just five points behind the duo, but with both teams up against relatively hospitable opponents in promoted pair Fulham and Cardiff, respectively, that gap could remain at five points, if not more should United slip up against Newcastle. It really would be the cherry on the icing on the cake if it conspires that one of Mourinho's arch-rivals Rafa Benitez is the final manager he faces as United boss and Newcastle are able to add to their two away points at United's expense this evening. But a win over Newcastle and the backing of the club would feel more of a stay of execution for Mourinho. He's not the man who stormed into English football in 2004 and off-pitch issues between then and now have affected his personality, with his stint at Real Madrid effectively driving him to breaking point, of which there has been no U-turn in his personality. 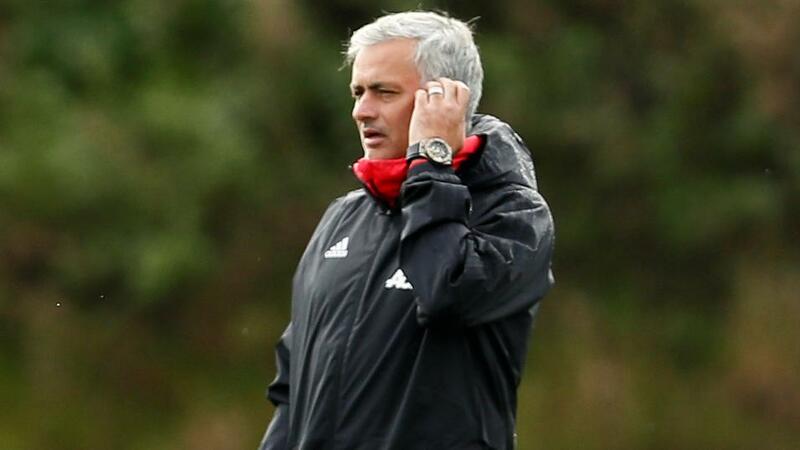 With the glare of the media spotlight now focused firmly on Mourinho, the cracks in both team selection and tactics grow larger with each passing week. The decision to field Scott McTominay at centre-back in a five-man defence at a West Ham side that had just one league win to their name prior to their match last week smacked of a manager pre-emptively throwing in the towel and it rightly came back to bite Mourinho. He may still have the backing of the United hierarchy, but a failure to beat Newcastle convincingly in today's late kick off will only add fuel to the fire. With the array of talent at his disposal in every area of the pitch, this United side should be performing to much a higher standard, though similar can be said of David Moyes and Louis van Gaal. Mourinho has undoubtedly performed better than the former duo, yet two solid campaigns with just an EFL Cup and Europa League to show for his troubles isn't good enough for a team of United's stature. A host of big names have been linked with the United job as and when Mourinho is dismissed, including Zinedine Zidane and Antonio Conte, and it's possible that the pair would bring out the best in the players at their disposal. At this point, it's hardly a risk to ask Zidane or Conte or any other successor to steady the Old Trafford ship, but with Mourinho in charge, this ship is cruising towards a choppy conclusion that is unlikely to end well.